This week, we continued our road trip with several days in Elko, Nevada. 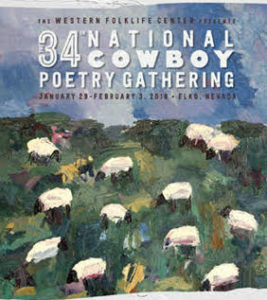 For more than three decades, the northern Nevada town has been home to the National Cowboy Poetry Gathering, a week-long festival of western ranching culture. It’s my favorite mid-winter event. Hands down. This year and for the first time, I participated in one of the Gathering’s many days-long classes. 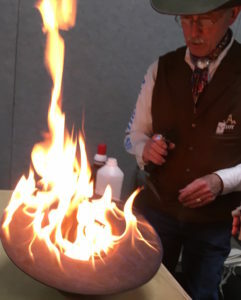 It’s where cowboys and ranchers meet wannabe cowboysThere are workshops in rawhide braiding, hat making, ranch cooking, cinch making, writing, singing, and dancing. I signed up for the three-day hat making session with master hatters, Bernice “Ben” McNeven, Roy Jackson, and Chaz Mitchell. Custom hats from these folks cost hundreds of dollars. 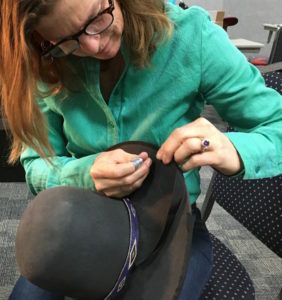 After taking the class, enduring the fine-motor skill work, toiling through the involved process, and suffering through my less than perfect craftsmanship, I can firmly say that their custom hats are an incredible value, no matter the cost. We all started with raw, 100 percent beaver felt hat bodies from Winchester Hat in Winchester, Tennessee. We pounced (sanded with sandpaper varying coarseness, from 220 to 600 grit). We flanged (to carefully and diligently steam and iron). Some of us bound the edges, another painstaking process that had me up late at night in the motel room, sewing by lamp light. All told, we dedicated as much as 20 hours to perfecting our custom hats. 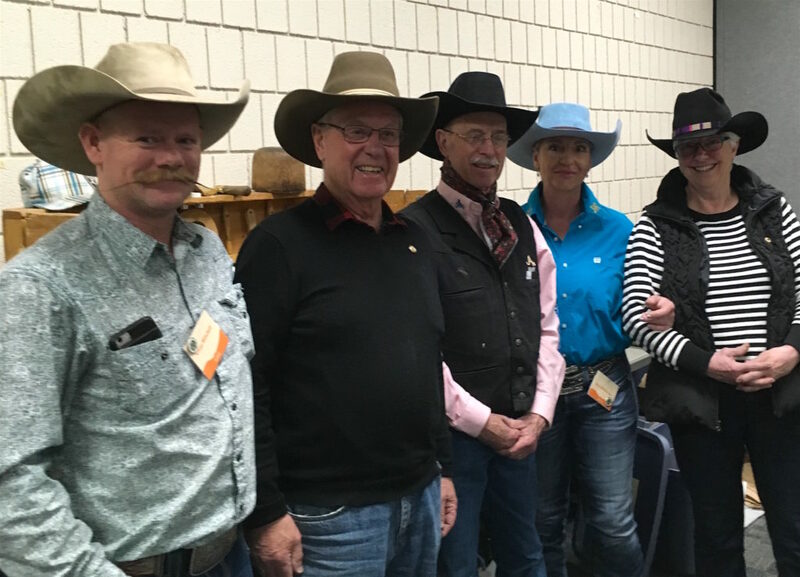 Along the way, we heard wonderful hatter lore from Jackson, who runs Jaxonbilt Hat Company in Salmon, Idaho, and Mitchell (the son of NCPG regular Waddie Mitchell). See photos from the NCPG on our Facebook page. 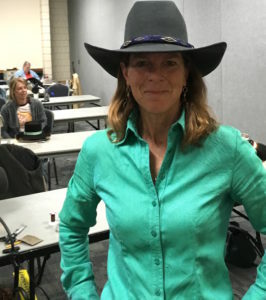 We sat down for an interview with Western Folklife’s executive director, Kristin Windbigler, who is leading the organization in an exciting, new direction while maintaining its core spirit and mission. Post to follow soon. 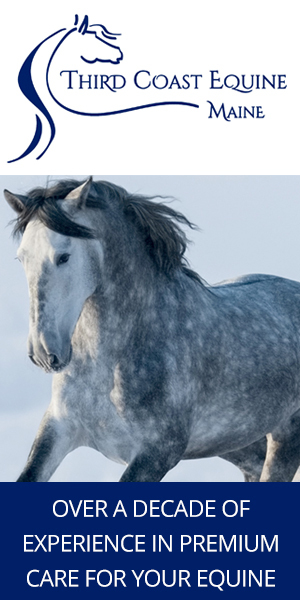 Posted in On The Move, Reviews and Links and tagged national cowboy poetry gathering.